A review of natural mascaras. For well over a year now, I’ve been using Dr. Hauschka’s mascara in both formulations, “Mascara” and “Volume Mascara.” Occasionally I venture into new territory and try other brands, only to come back to my beloved Dr. H. I reviewed Physicians Formula’s Organic Wear Mascara here, and at the time was pretty impressed with it save for its funny smell. Ultimately I couldn’t get past that and never ended up wanting to put it on my lashes. Real Purity’s Mascara was another one I experimented with as it receives many positive reviews on other green blogs and has the simplest ingredient list I have seen: purified water, beeswax, glycerin, candelilia wax, cellulose, pure plant extracts (sage and ivy), and iron oxide. The price point is reasonable as well, $14.99 a tube as compared to over $25 for both Dr. H’s. Unfortunately, I wasn’t as impressed with Real Purity as some of my fellow bloggers. It took at least 2-3 coats to notice that I had on any mascara, and even then, the results were minimal (or very natural depending on your taste). Having said that, there are many people who have not been able to tolerate mascara of any kind until discovering Real Purity, so thank goodness this option is available as it does create darker lashes and comes in black, brown, and navy. Tarte’s Lash Hugger, which is touted as their “natural” mascara, was also another one I bought. 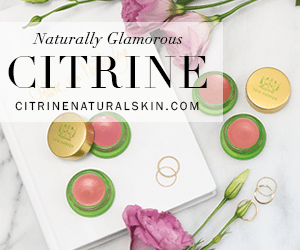 I have natural in quotes because some of the ingredients are questionable, most notably, phenoxyethanol. 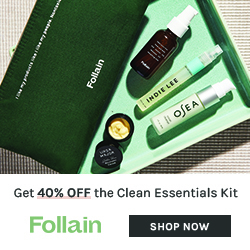 The gals over at Fig & Sage and Marta at TruthInAging looked closely at this ubiquitous synthetic presevative and have rightly questioned its use in products labeled “natural”. If someone is educated about the other chemicals in Lash Hugger like cyclopentasiloxane, triethanolamine, aminomethyl propanediol, and chlorophenesin, I’d love to know if they are truly natural. (Google searches didn’t lead to much definitive info). Until I know for sure, I won’t be buying another tube even though I did like this mascara’s ability to thicken and separate my lashes. Which brings me to Dr. Hauschka. The Mascara formula (non-volume one) is great for a natural look. It gets your lashes dark and glossy, and gives an amped up version of your own lashes with one or two coats. It also makes them longer, and fuller with more. And since it doesn’t clump, adding layers is a cinch. One warning, it does take a minute for the mascara to dry, so no vigorous batting of the eyes immediately after applying! But this is the only negative, aside from the price tag, that I can report. I love the blue color option, and have taken a liking to it as of late. The color pictured at the right shows a real royal color, but on my lashes it’s more of a navy and creates a deep blue tinge that is appropriate for work and daytime errands. The Volume Formula also comes in different colors, black being my personal favorite. 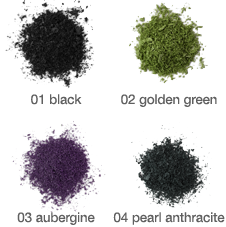 Pearl Anthracite and Aubergine are the other colors I have tried, Pearl Anthracite ranking as my least favorite. It’s nice enough, but unlike the Black and Aubergine, Pearl Anthracite didn’t go on as smoothly and seemed to clump easily. I don’t know if it was just the tube I got, or if it’s the formula of the mineral pigment, but it was not as impressive as the others, especially the Black. 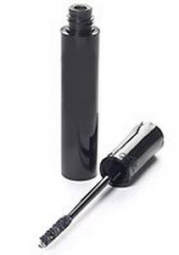 The Black Volume Mascara is very smooth, glossy, and easy to apply. I love its ability to create full lush lashes with one coat, and then a really dramatic look with two to four. I wear Dr. H’s Volume Mascara almost everyday. The Aubergine gives a subtle flash of burgundy on my lashes, but it’s not that noticeable. I think black is the best bet as it’s the richest, most lustrous of the colors I have tried. Trish~I have not tried the Dr. H. mascara but I think I will now when my 100% Pure runs out. I love Dior’s Iconic but do prefer to keep it natural. 🙂 Do kind of hate to spend so much on something like mascara though! I signed up for a coupon (hopefully) and will take some time to check out OpenSky-is it similar to Etsy I wonder. Thanks for the info.! 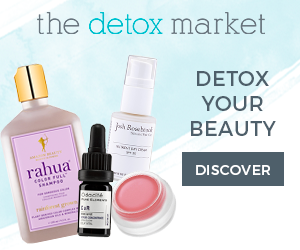 Joy, Let me know if you got your coupon OK. You should have received a coupon for $15 that you can use towards a Dr H mascara in my shop, so it’s a great deal. But be sure to check out if there is an expiry date on the coupon you are sent. Will you let me know if you got it? OpenSky is not like etsy so much, more like Facebook meets retail. You get to know the shopkeepers and see what we recommend as we are only going to carry our favorite items. The other shopkeepers are bloggers (they have food bloggers, gardening bloggers, knitting bloggers, etc) as well as some TV personalities like chefs. Thanks for commenting and entering! I love Benefit BadGal Plum, so I must try Aubergine! 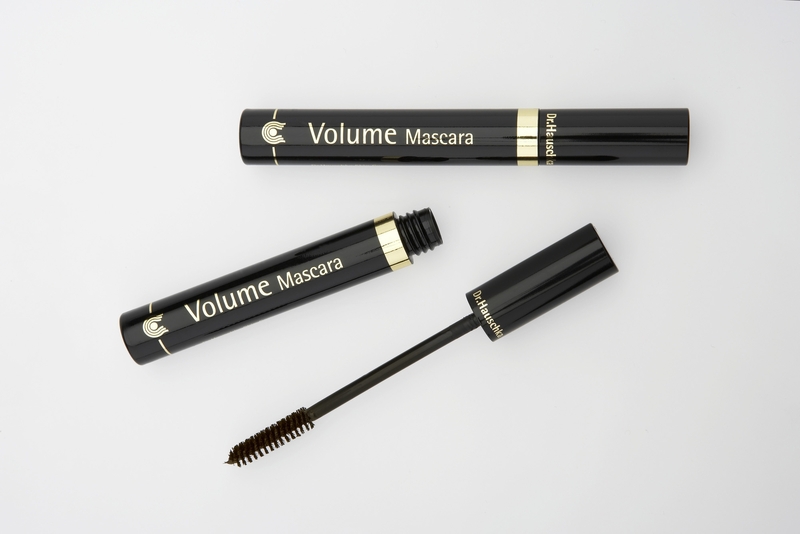 How’s the lengthening for the volume mascara? I don’t need a lot of length — I mostly buy volume/curling mascaras — but I do need some, since my eyelashes are pretty short :P.
Also, have you tried Afterglow Cosmetic’s Pure Soul Mascara? I have not tried anything from Afterglow actually, need to give them a closer look!